News Punks not dead! never in winter anyway!!!! Hello babys good to be back!!! 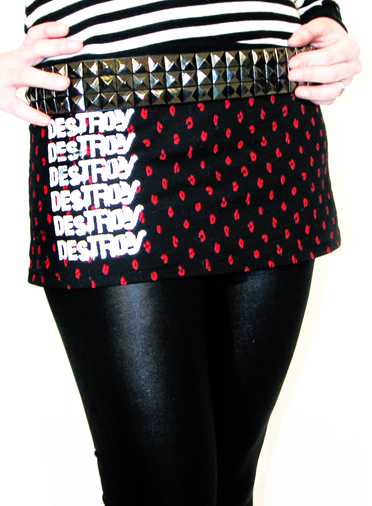 this week I have some wish fulfilling items ant punk girl could want, check out these awesome red tartan skull and "mosh pit addict" pants, they are absolutely flawless! Pair them with this classic skeleton hand and stripe knit long sleeve top or this streetwise monochrome newspaper urban print long sleeve slouch top and your good to go! Also these 2 mini skirts will brighten up any girls day, go military style with this camouflage and skull print mini or go wild with this uber cute red leopard print mini skirt for a fun night out. 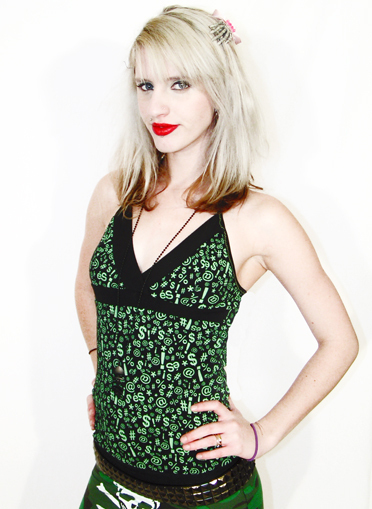 I would pair either with this bright green question mark riddler triangle top (im so in love with this fabric!!) or this argyle kitty paw and kitty ear zipper hoodie to complete your look. I also have dresses for day and night, this slouch clinched waist red tartan dress is effortlessly stylish and will go with almost any waist clinching belt. And for a more going out kind of look, try this racer back dress with uber cute front pockets and star studs all over it, the fabric is captivating and the cut is so flattering it will surely become one of your favourites!